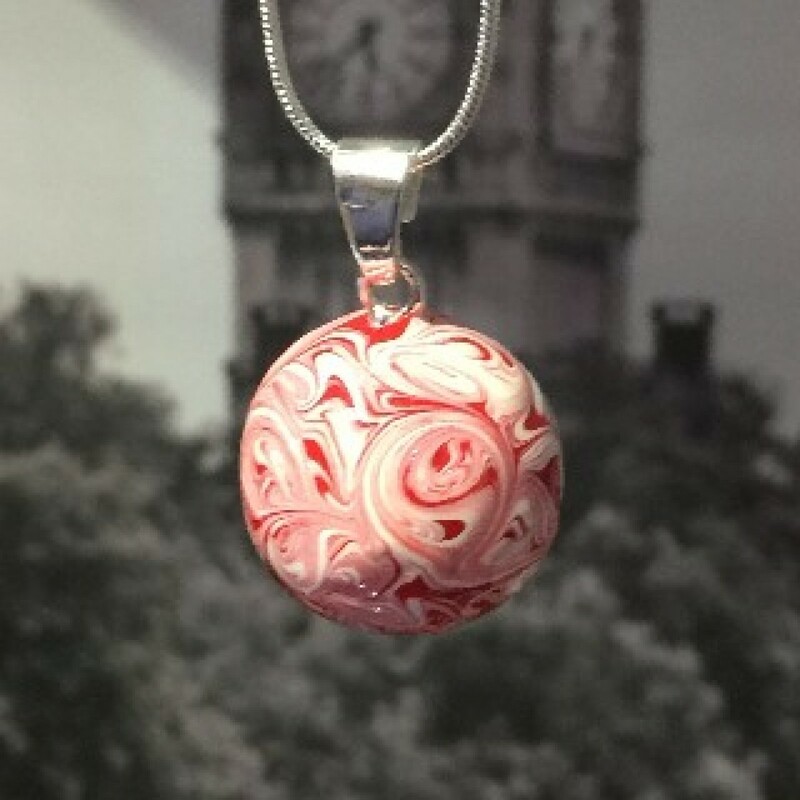 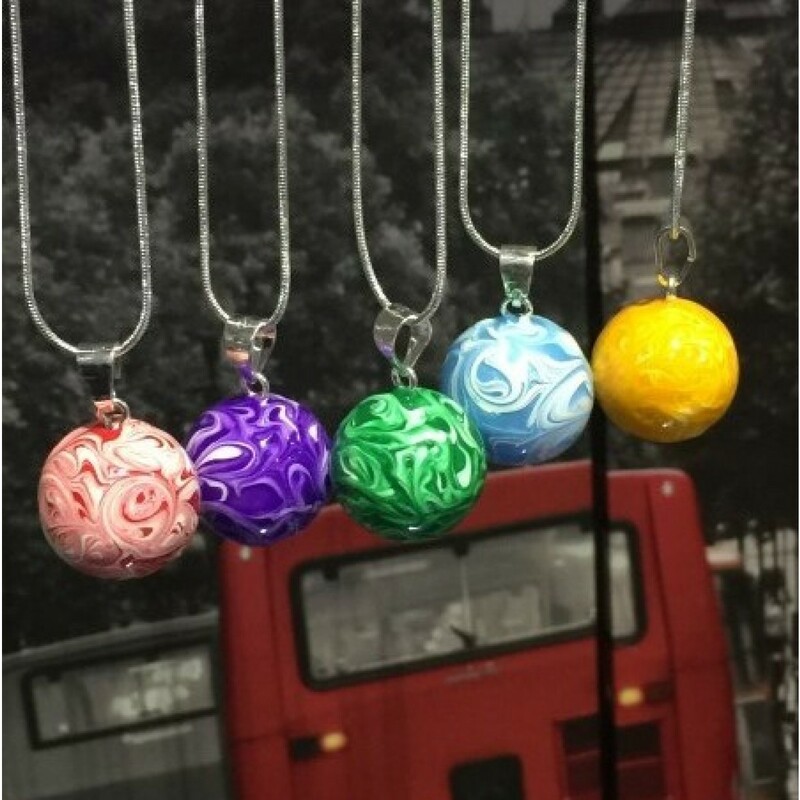 These beautiful painted swirl harmony ball necklaces will compliment any outfit. 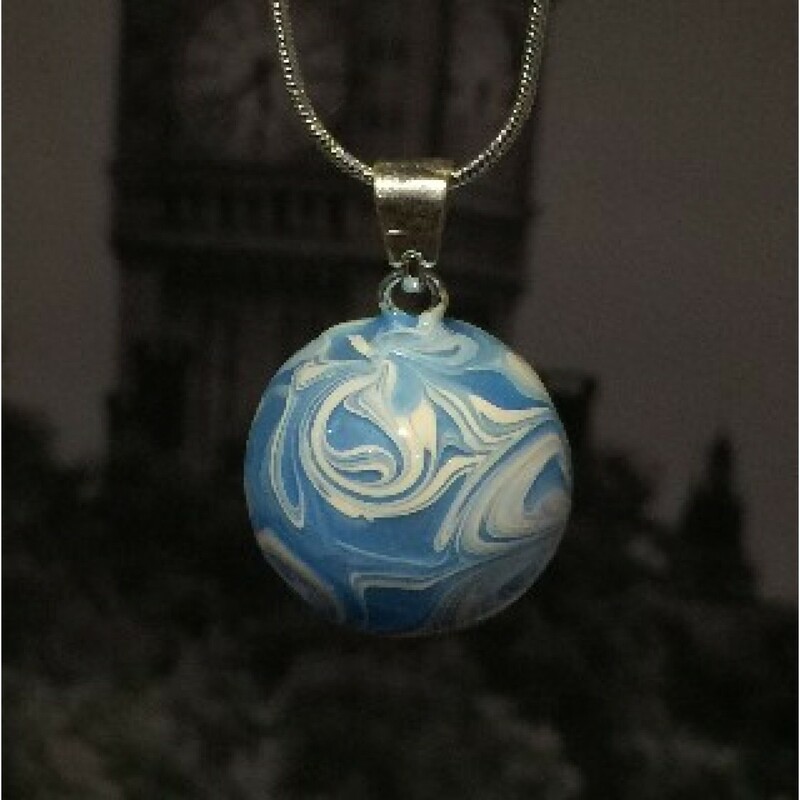 These special necklaces are hand painted and each one is unique. 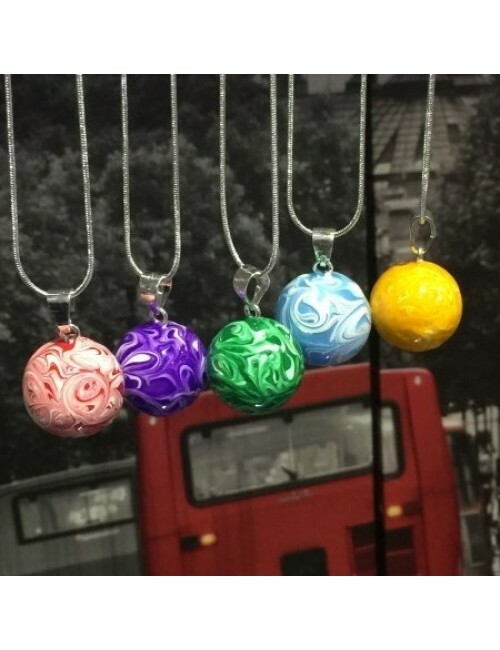 Harmony Balls contain a small bell which emits a soothing chime. 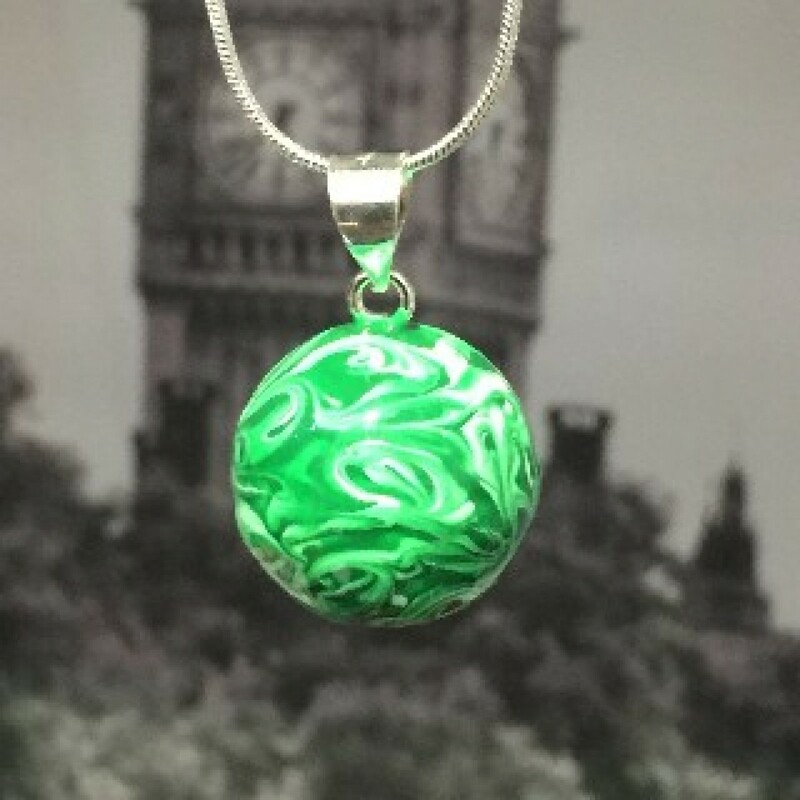 Legend has it that wearing a Harmony Ball necklace will summon your Guardian Angel. 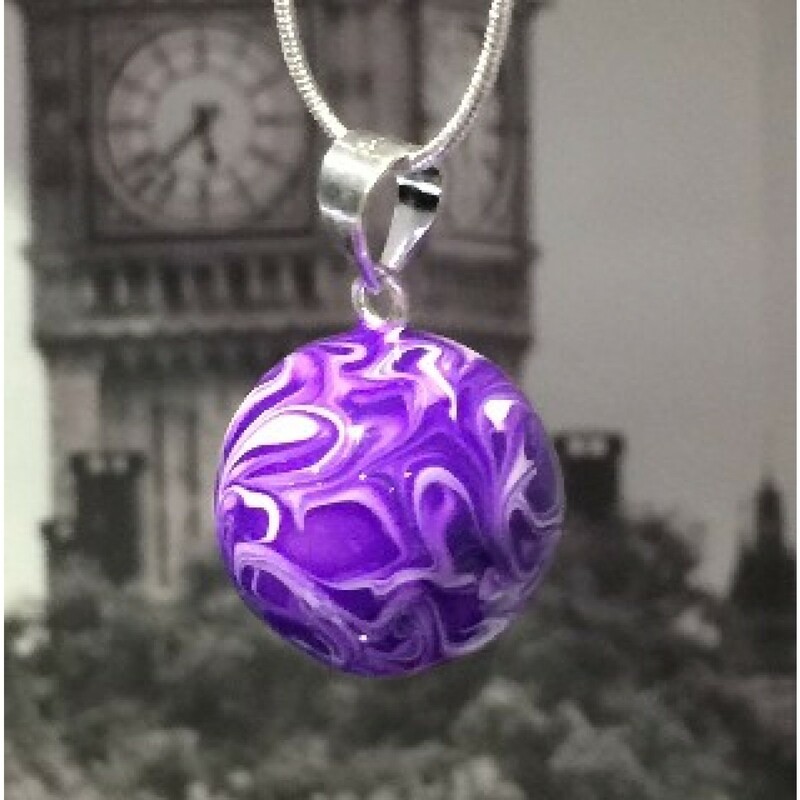 They are used to soothe, nuture, and relax the wearer. 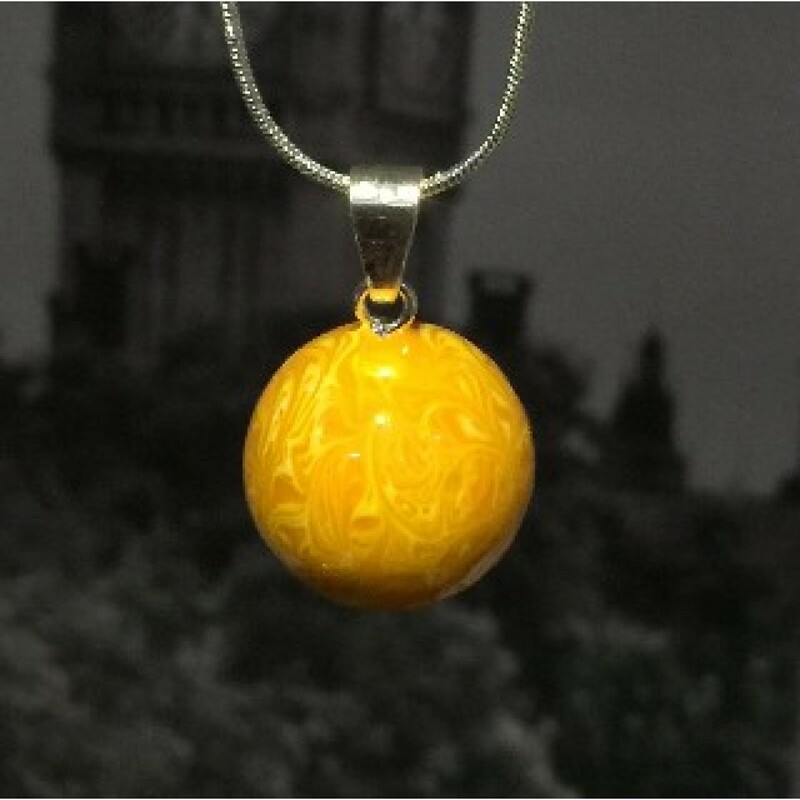 MATERIALS: high quality plated gold and silver based metal.